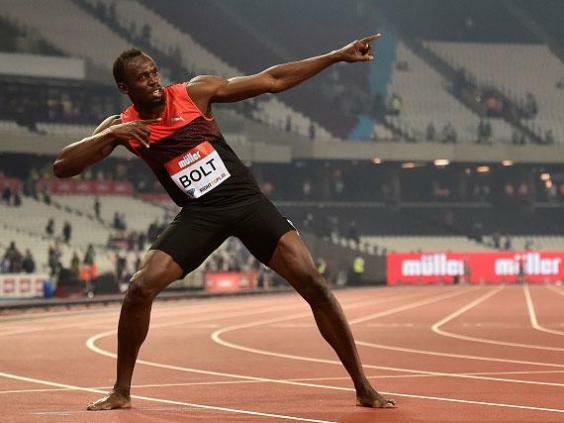 Usain Bolt cruised home in the 200m at the London Anniversary Games on Friday night as he continues his recovery from injury. The Jamaican proved his fitness for next month’s Rio Olympics in emphatic fashion by clocking 19.89 seconds. The six-time Olympic champion, making his first appearance since pulling out of the Jamaican trials with a hamstring strain, led coming off the bend, but had to work harder than usual down the home straight to come home in first. 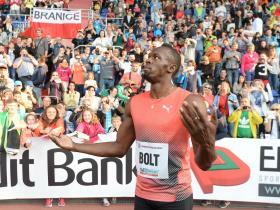 “I thought it wasn’t perfect,” said Bolt after the Diamond League meet. “I came off the corner, just tried to hold my form and do the work. I’m happy with the execution and hopefully my coach is. Bolt was upstaged in London by Keni Harrison of the United States, who broke a 28-year world record in the women’s 100-metres hurdles by running 12.20 seconds. The run came just two weeks after she failed to make the United States team for the Rio Olympics. The 23-year-old stormed over the barriers to cross the line in 12.20 seconds, beating Bulgarian Yordanka Donkova’s mark by one hundredth of a second. She collapsed into floods of tears at the finish at her achievement, clocking the revised scoreboard in the stadium. It came just a fortnight after she could only finish in sixth place at the US trials, seeing her Olympic hopes crushed. Jessica Ennis-Hill finished eighth in the final on 13.04secs after clattering a hurdle, but had earlier fired out a major warning to her Olympic heptathlon rivals by running her second fastest-ever time over the distance in the heats. The 30-year-old, back at the Olympic Stadium where she memorably took gold as the poster girl of London 2012, clocked 12.76 seconds to finish third in her heat. 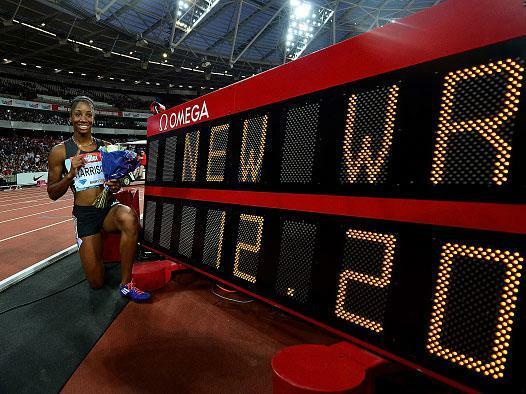 It smashed her season’s best of 13.10secs and was her fastest time since the London Games, when she ran 12.54s. It was also a clear sign the Sheffield athlete is very nearly back to her best, two years after giving birth to her son Reggie and despite an Achilles problem earlier in the season. 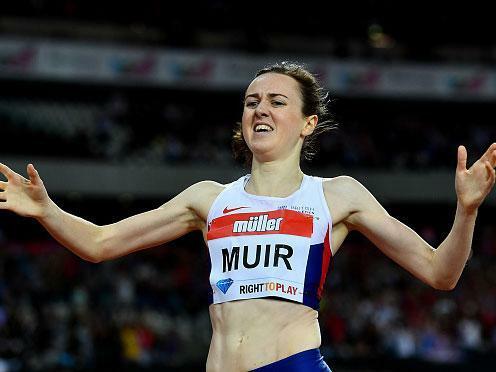 Elsewhere, Laura Muir broke Kelly Holmes’ British 1,500m record with a hugely impressive run, pulling well clear of the field to come home in 3:57.49, winning by more than three seconds and eclipsing double Olympic champion Holmes’ mark of 3:57.90 from the Athens Olympics in 2004. The 23-year-old said: “I’m over the moon with that. It’s not just any record. It’s Kelly Holmes’ Olympic gold medal record. It’s great to have. ”I was confident already going into Rio, but to take a Diamond League record on home soil going into the Olympics, that couldn’t have made my confidence any higher. The newly-laid track at the Olympic Stadium was clearly super quick and, in near-perfect conditions, Great Britain’s women’s 4x100m relay team also made a significant statement of intent ahead of the Olympics by setting a new national record and the fastest time in the world this year. Ohuruogu, though, defeated Emily Diamond and Seren Bundy-Davies, who finished first and second at the British Championships, as well as Anyika Onuora, who lost out on the third 400m spot on the team for Rio to Ohuruogu.